Beautiful natural light, clean, classic, minimalist aesthetic. I am located in Castro Valley in the East Bay. Easy access from 580, convenient parking. My goal is for you to relax and enjoy the experience while I capture your little one. Grab a snack from my stash, kick up your feet, and I’ll take care of the rest! 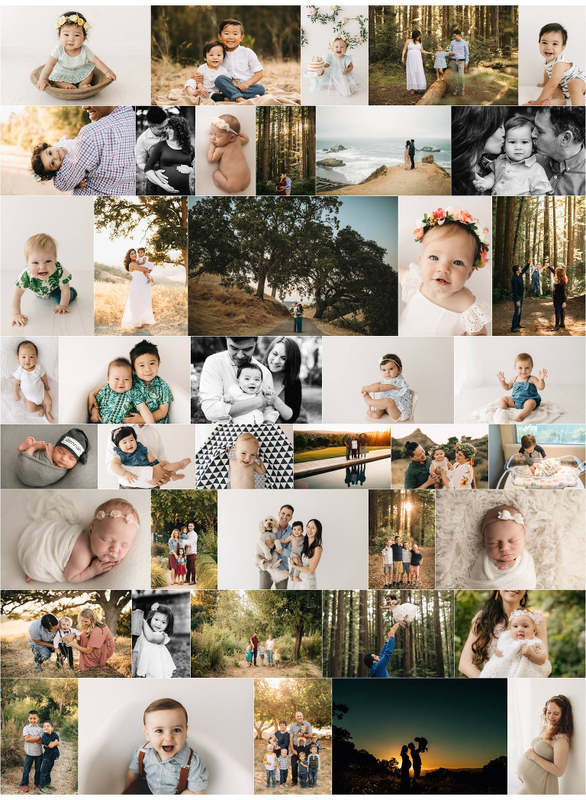 My studio is the perfect place for your newborn, baby or family session! In addition to all the usual newborn props/fabrics/wraps/etc, I’ve also started a studio wardrobe for the 6-12 month size range. Feel free to use anything you see for your baby’s session. You can see in more detail the kind of outfits I have available HERE! I’m a sucker for cute baby clothes so this collection is ever-growing. So many cute things are not pictured yet! Here’s a peek at all the fun we’ve been having so far….